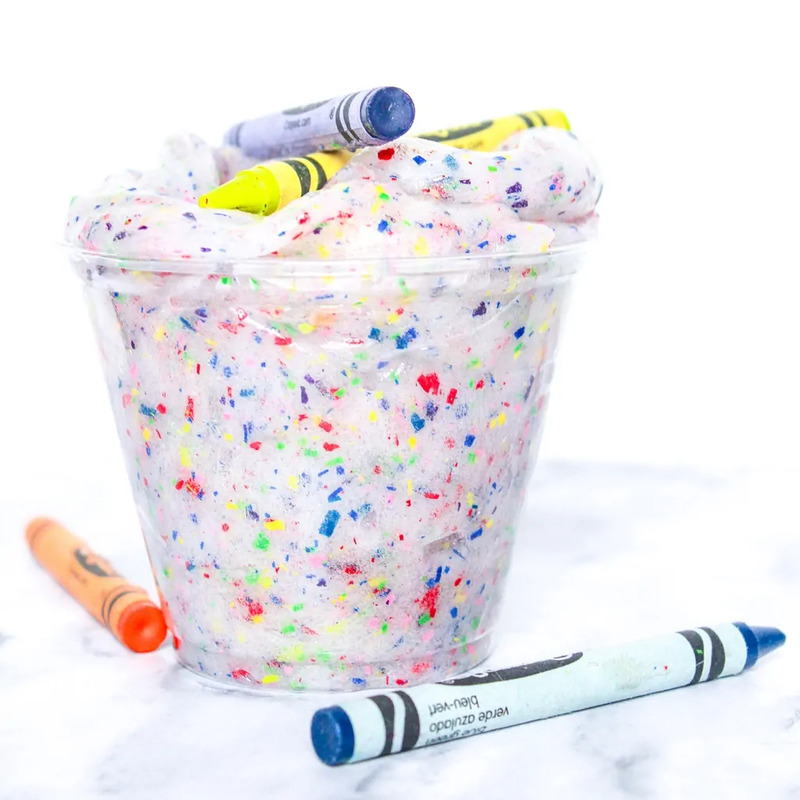 This easy and colorful DIY crayon slime recipe will have you digging through your couch cushions for broken crayons. We love making slime. From unicorn slime to under the sea slime, we have shared plenty of borax-free slime tutorials here on the blog. 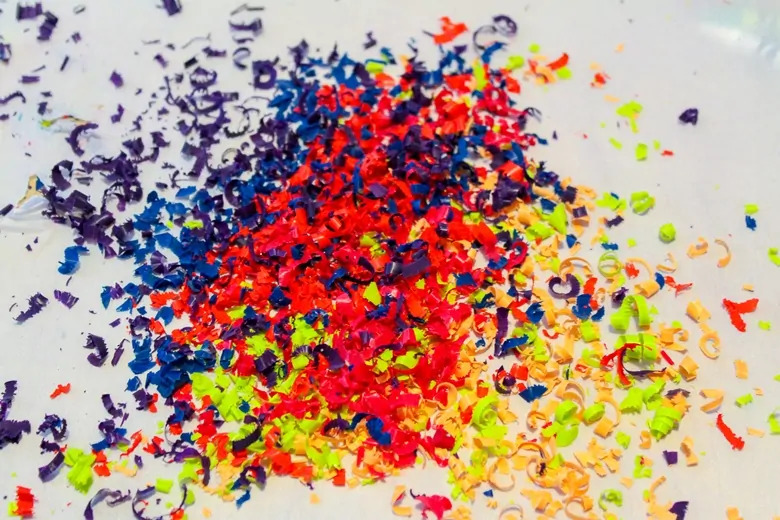 What makes DIY crayon slime different is that it doesn't call for any food coloring or any glitter — yet it is still very colorful. 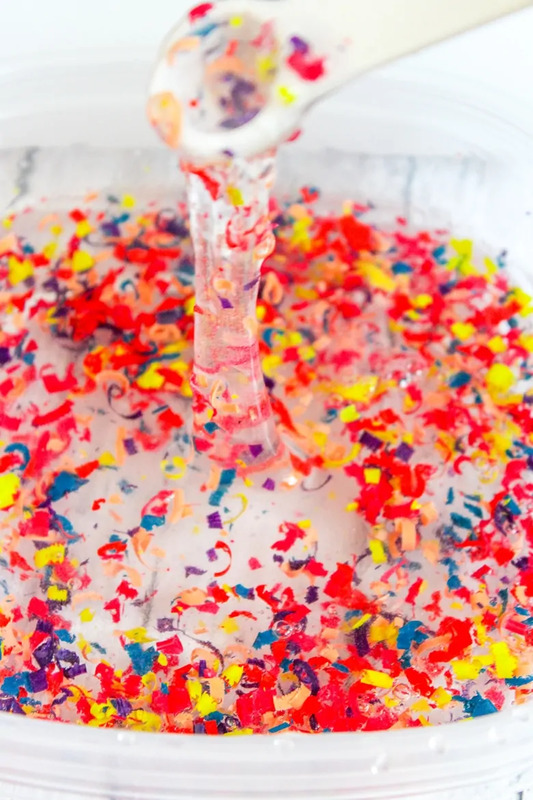 Instead, this fun slime gets its color from something you likely have at home already — crayons! Seriously though, who knew that all those broken crayons could be so useful? So have the kids help gather up all the broken crayons around the house and have fun turning them into the fun and colorful slime. This slime is very simple to make. To be honest, the toughest part is peeling and shaving you crayons, and even that is pretty fun to do! Then, begin by unwrapping each of your crayons. We used about 8 crayons of various colors to help give our slime a rainbow look. You can choose whichever colors you would like. Next, use scissors to “shave” the crayons. 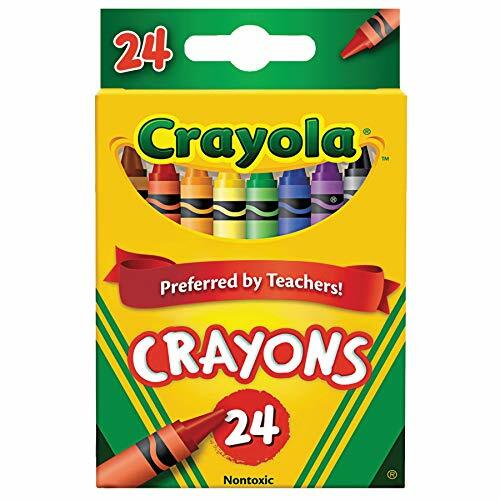 Kids scissors or a vegetable peeler would work to peel the crayons as well. TIP: shave crayons on top of a sheet of wax paper to make it easy to transfer shavings. Time to make the slime! 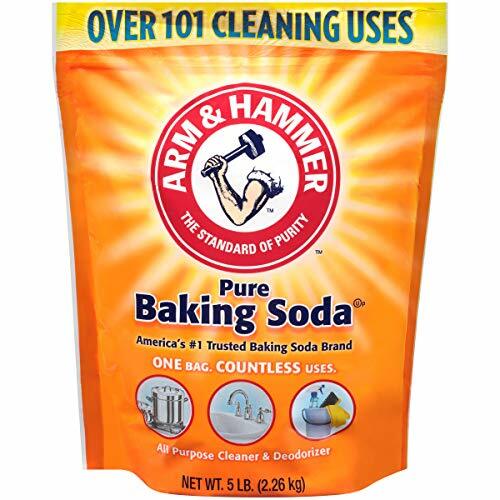 Combine 5 oz clear glue, 1/2 tsp baking soda, and 1/2 cup water in a medium-size bowl. Add 1 tbsp saline solution. Stir and watch as the slime beings to form. Pull the slime out of the bowl with your hands and knead it. It will be very sticky to being with but will get less sticky as you knead it. If your slime is just too sticky even after kneading it for a while, add a drop or two of saline solution and knead some more. I hope that you and the little ones enjoy making and playing with this awesome slime. 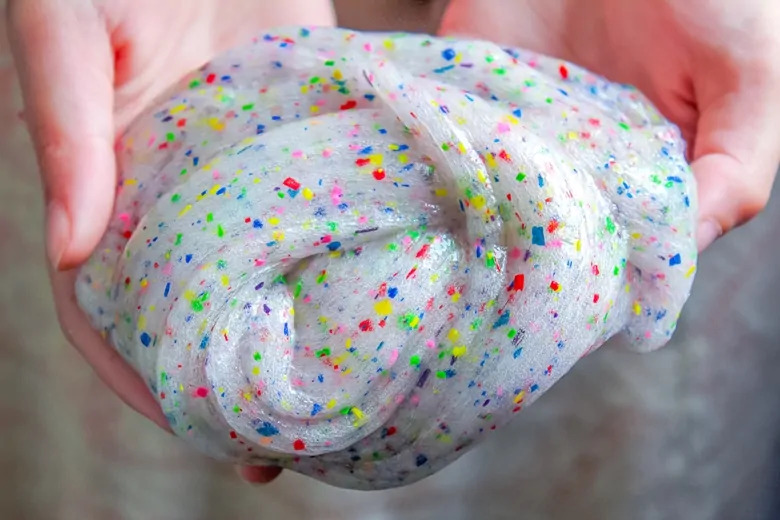 If you enjoy this colorful slime, you will love our pom pom slime and galaxy slime as well! 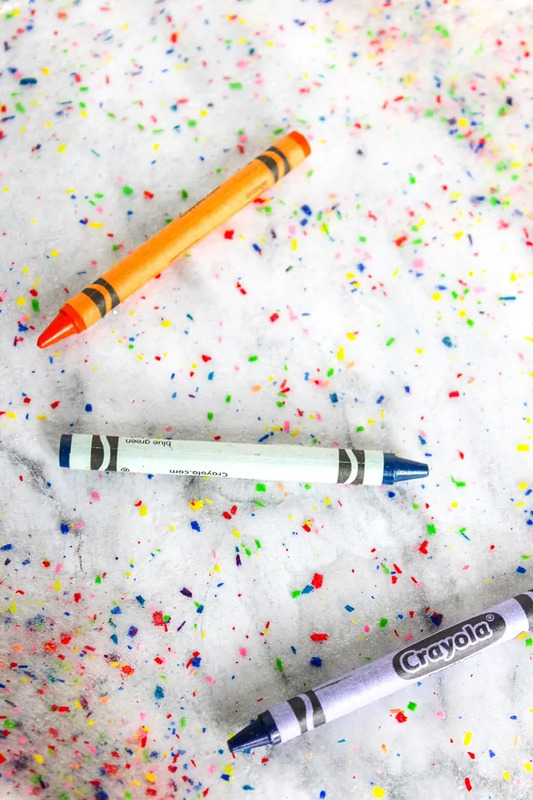 An easy and colorful DIY crayon slime project that helps you use up broken crayons. Using scissors, carefully "shave" crayons. Shave onto a sheet of wax paper for easy removal. In a medium-size bowl, combine glue, water, and baking soda. Stir well. Add saline solution, stirring to mix well. If your slime is still sticky after kneading it a while, try adding another drop of saline solution. Store slime in an airtight container between play sessions to make it last as long as possible. I would love for the kids at school to make this. 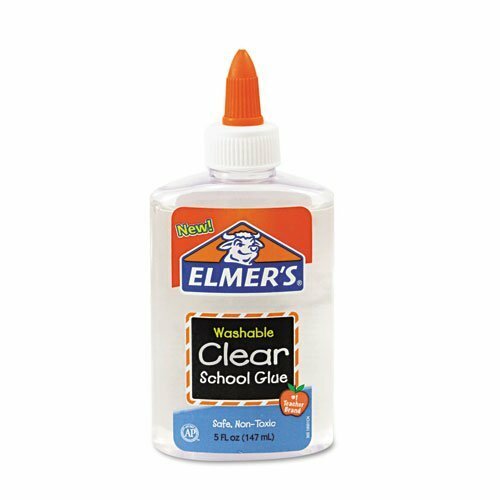 But, using a whole bottle of glue per child might get costly. 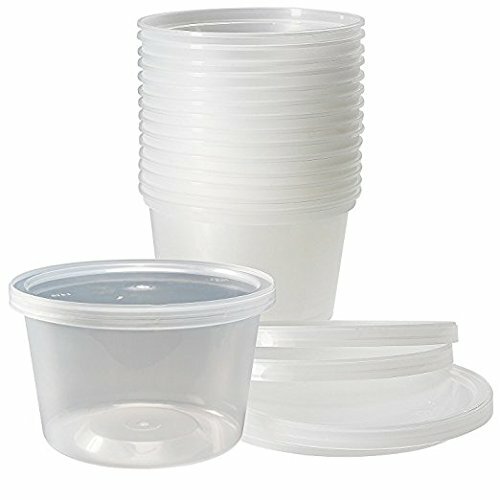 Is there a way to break down the recipe into smaller batches, and if so, how many batches would it yield? In other words, is the recipe you call for only enough to fill a small food container for one child? 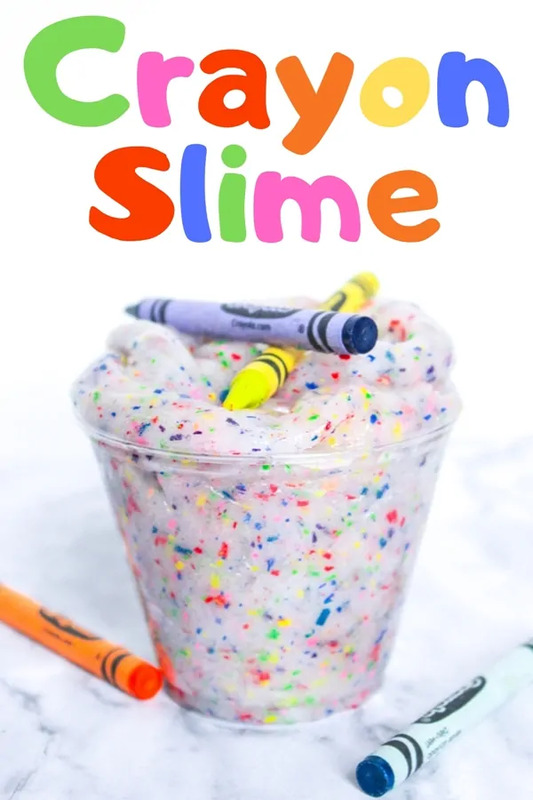 The recipe makes the amount of slime shown in the images, which I would say is a great amount for 1 child, or a decent amount to split between two children. You could have the kids pair up and make the slime in pairs. Then split their slime into 2 “pieces” at the end so each child has their own slime that is still a decent size to play with and enjoy. That way you would only need to make half as many batches as if each child made their own. 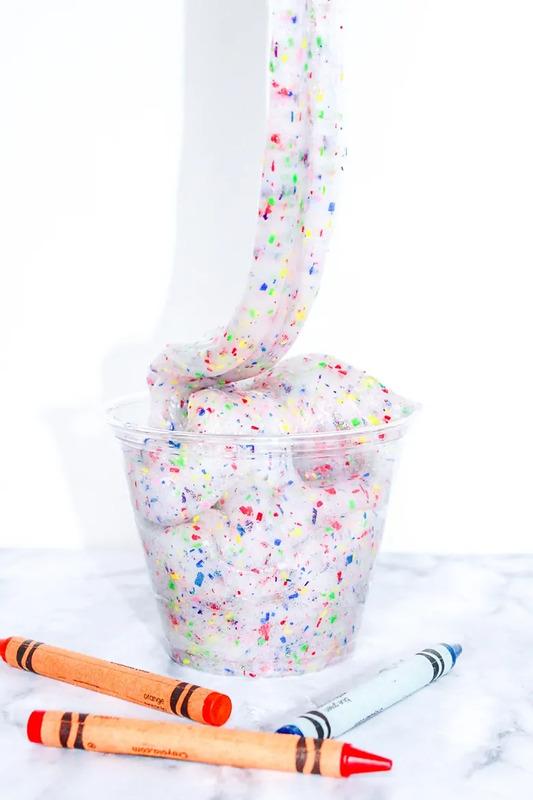 Or, you could make one batch of slime together as a class, and keep it in a container in the classroom for the kids to take turns playing with.